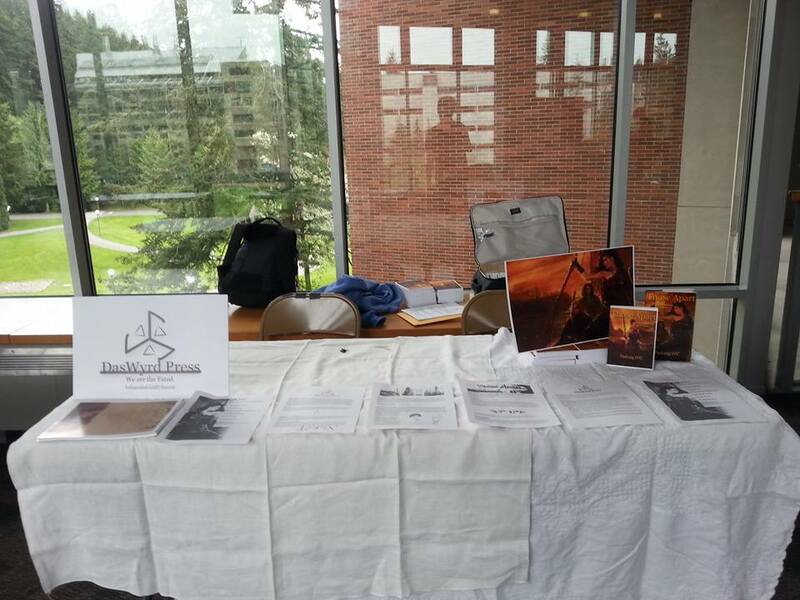 This was the first year that a collection of organizations and clubs at Western Washington University held a Queer Comics Convention! The actual convention itself compared to others I’ve attended from Anime Evolution or even PAX was relatively small in size in its location and participation. I was in the vendor’s area with what we could bring and some information. Pretty much all DasWyrd was able to afford was a small sign and some flyers. Otherwise, we had some supplementary info printed out for people to read. Right by us or within our vicinity were several large groups and their more practiced displays. Oni Press was in full force (the volunteer there was simply awesome) along with members of Northwest Press, and even the local Bellingham Pride. The names of everyone escapes me, but they were a fun bunch and were more than willing to talk in between periods of time speaking to patrons. My personal experience at the con was that it was quieter than I used to, and a bit overwhelming. I’ve attended conventions in the past as a visitor, but never as an exhibitor and so I was pretty much second guessing myself. It was not until our first serious book buyer that the conversation flowed the best and by the second we were talking for almost an hour! Most people stopped by and said they liked the art and thanked me for any information given. Some came up and talked to us and then took a flyer. A few even were interested in checking out our discord and our skype channels. Did we make a huge splash like I wanted? Not necessarily, this was our first con ever! And while we didn’t have the biggest retention I personally met a lot of people and new opportunities have certainly opened up for the future. First, the presence of several cosplayers from the Rebel and the 501st was great. In among the various queer groups at the place (including the awesome ace representatives) there were several people full in costume. 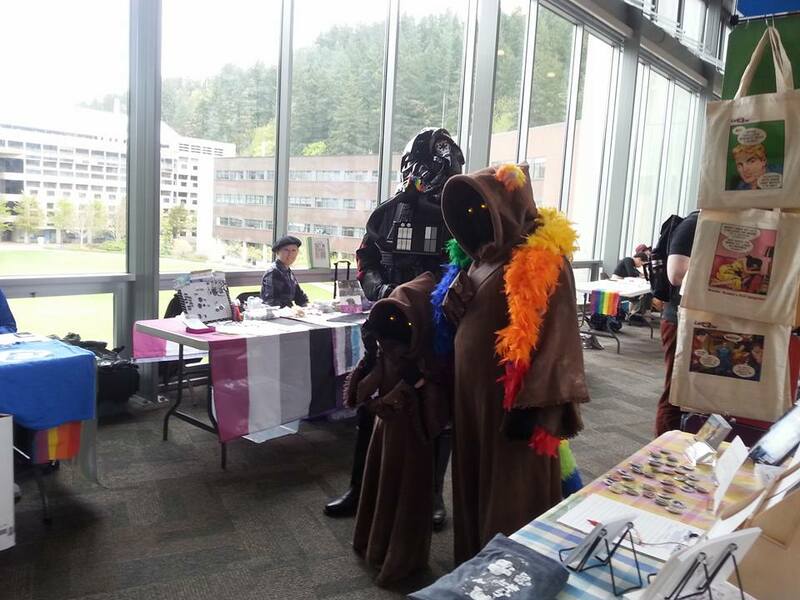 I saw a family with one adult dressed as a tie fighter pilot, a child dressed as a Jawa and the other parent dressed as a Jawa. There was also a stormtrooper in among the various Lukes and Leias who had a rainbow cuff on his arm. When I suggested the idea of full Mandalorian armor in Clan Wren colors he readily agreed that it was a great idea! The music over from one of our neighbors was fantastic also the fact that we were near so many great talkative people!